As scientific discovery has advanced in the world of quantum physics, so has our understanding of chi. More specifically: whereas our foundational proposition is built around the concept that chi is electromagnetic energy that is composed of the quanta, we now have a greater specificity regarding the quantum energy we associate with chi. With that information, we are better able to engage, develop and manipulate the energy to achieve desired results, on demand and on command, all the while minimizing negative side effects that adversely impact the practitioners and those with whom they come in contact. As noted above, we begin first with electromagnetic energy [radiation]. The electromagnetic spectrum of radiation encompasses all forms of energy. To that end, it is Universal in kind, and specific by type. This is to say that electromagnetic energy permeates the Universe, flowing into and through every known [and as yet to be discovered] object on some level. Depending on the frequency or wavelength, the electromagnetic energy takes a specific form, be it: X-ray; radio wave; microwave or; visible light. For example, electromagnetic energy that falls within the “ultraviolet” range cannot penetrate the Earth’s atmosphere [ozone layer]. Radio waves, conversely, travel across and throughout the known Universe with little to no impediments. The article “Energy Healing and the science of Bio-Photons” serves as a primer for the reader regarding the electromagnetic spectrum, detailing the photon and its relationship to and of the electromagnetic spectrum of energy. What is important here is that, as noted by NASA, all these forms of electromagnetic energy [radiation] have the following attributes in common: they are all made up of photons and; they all travel in waves. Also, worthy of keeping in mind is that the difference between these waves is the amount of energy found within the photon. Of greater interest and noted in the article “Energy Healing and the science of Bio-Photons” is this: the cells within the human body emit weak light. Fritz-Albert Popp, the German theoretical biophysicist who discovered this property of the human cell termed this phenomenon: biophoton. This discovery was made over 30 years ago and is still challenging the scientific community. Whereas previous generations thought of light as an external source of energy, the discovery that the human cell emits light, albeit weak light, is a huge paradigm shift that brings our attention to the design and of the photon and the underlying ramifications of the interaction between the human body and the electromagnetic spectrum. The photon itself is a very interesting particle. It is massless, yet: the temperature of a photon can be heated or cooled and; it can be stopped or paused while in motion. This is to say that the very properties of the photon can be manipulated – acted upon and changed. For the most part, this awareness has been achieved through traditional scientific discovery: laboratories, clean rooms and sensitive machinery and sensors designed to receive specific types of data. The differences between the traditional photon, think externally generated, and human generated biophoton are minimal. In fact, the similarities between the two types of photons are of critical interest and importance: both sets of photons, traditional and bio, are mass-less particles of energy; both sets of photons can be manipulated / acted upon to modify temperature and speed; both sets of photons can store and release information. Many people of diverse cultures have discussed, written about, and on some level engaged in the pursuit of a Universal life force of energy. The personal and physical experiences of such a large amount of people varying in age, race, religion, gender, across continents and throughout time itself cannot be overlooked nor dismissed. To the contrary, these overarching similarities, akin to a meta-analysis, point to the very foundational building block discussed at the beginning of this article: the photon. Clairvoyance and remote viewing is akin to tapping into the interconnected nature of the photon. 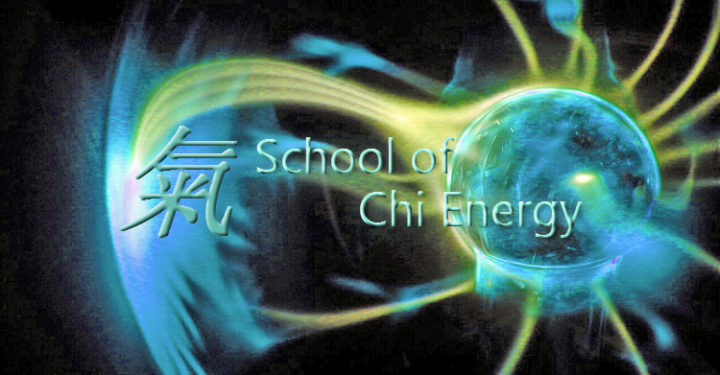 The goal of the School of Chi Energy Heals is unification, not division. As opposed to creating new and exotic terms or relying on folklore, the tried and true first person accounts and experiences in the development of this Universal life force of energy are integrated with the facts as proved via scientific exploration and the resulting data. The result is a meaningful curriculum and methodology that is both Universal and intimately personal for each and every individual student studying with the Two Sifus. Please take a moment to review the information referenced. The information therein is a tool that can be utilized throughout the journey. In the interim: Be well.